Wow. What a move by the Murdoch Empire, putting a bullet into one of their main UK title's - a 168 year old paper nonethless. However, this is a great example of not wasting a good crisis. Given the understandable outrage generated by the paper its brand was very damaged. No doubt News Corp recalled the Sun boycott in Liverpool after Hillsborough. So that meant drastic action was needed. However, newspapers are highly unionised entities and not easy to change or close down - given their staff prediliction and ability to complain in public. News of the World was loss-making and many people can see the newspaper business model is under severe challenge from the internet. So this is a great opportunity to do the right thing and also manage to exit a business which was struggling in any event - and how can the Unions complain? Clever move and personally I shan't miss the News of the Screws in any event. Was it loss making? If so, good point. the writing was on the wall as above. BBC thinks so too in its close story. That's why Rupert is still king even after all these years. Guardian media still hasn't found a way to chop the unread Observer. Even two years after having decided to do so. I wonder if rupert will take the rest of the tabloids down with the notw. I fancy sundays edition will be worth reading for once. hmmm, a lot of folk on twitter rejoicing, however we are still left with the fundamental concerns at the top. i.e. the pervasion into the upper echelons of the old bill and downing street. Hmmm, losing money, Guido thinks it is profitable who is right? The Times has never payed under Murdoch or under the previous owner Capt. Bob Maxwell it was the prestige of owning the paper. And the Tories won't waste the opportunity to call the coppers to account over Operation Glade and Operation Motorman. They still want scalps for the arrest of Damien Green on the last day that Ian Blair, NuLabour placemen, led the MPS. In light of some of the horrific things that have happened in Britain over the last decade or so why is this such a 'crisis' ? I'm not sure the average person gives much of a toss. They should. It could well result in the emasculation of the free press - however unscrupulous it may be. As CU says - it's a clever move. Cut your losses - look to the next big thing, even after 168 years. Everything has it's moment and it's time. Murdoch indeed is a smart cookie, and cookies (the ones recorded by your internet browser) is where he'll go next. I don't like the guy but I doff my cap to this move. having an uncontrolled media that can be inaccurate and untrustworthy, and free but may tell us things we do want to know. the average person will vote with their wallet. welcome back to the 300 year old world of coffee house rumors. NOTW was profitable - anyone who claims otherwise has absolutely no idea about how the UK news industry works. Sun is also profitable but lower margin, Times and Sunday Times are heavily lossmaking and baled out by NOTW/Sun profits. NI's plans to integrate NOTW and Sun were about cutting costs to further boost profits (and defend from potential future losses in print revenue), not about getting rid of a lossmaker. You might be getting confused with GMG's plans to axe the (heavily lossmaking) Observer and merge it with the (less heavily lossmaking) Guardian. 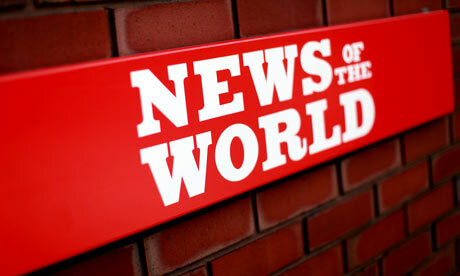 John - several sources cite the NOTW as lossmaing - BBC, Gaurdian and press gazette on occasion. I bow to anyone's superior knowledge but even the City analyst I spoke to did not really know the truth. Even if you are right,t he story is the same, getting rid of union workers without a strike. Really? Got a link at all? NI overall has been lossmaking in recent years, but I've never seen any press or analyst report that claimed anything other than NOTW as a profit generator that helped bail out the Times and ST's enormous losses. "With an average weekly circulation of 2.6 million, the News Of The World is Britain's best-selling Sunday paper and a profitable venture. ... News Group Newspapers Ltd, which publishes The Sun and The News Of The World, made a profit of £86m for the year ending June 2010." If NOTW is a seperate subsidiary, I wonder if closing it could evade civil liabilities? Police say 4000+ people may have been phone hacked. If 4000 took civil action, at both sides legal costs + damages of say 128k each, that is a cool half a billion in liability.